There are many legends of epic battles between heroes and ferocious beasts. Stories of extraordinary humans versus the worst of what nature can throw at them. Now those battles can be brought to your tabletop. 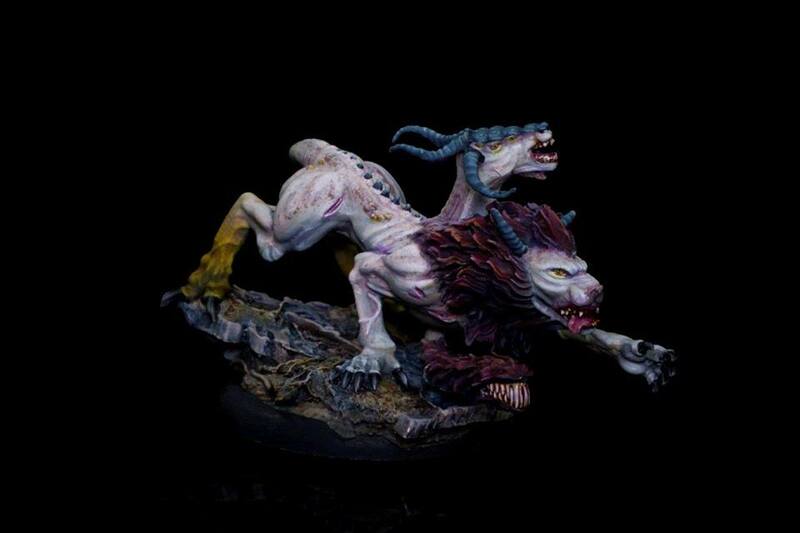 Kydiome and the Chimera is the first Nemesis pack being produced by Labmasu for Megalith Games, and it's available to order now. 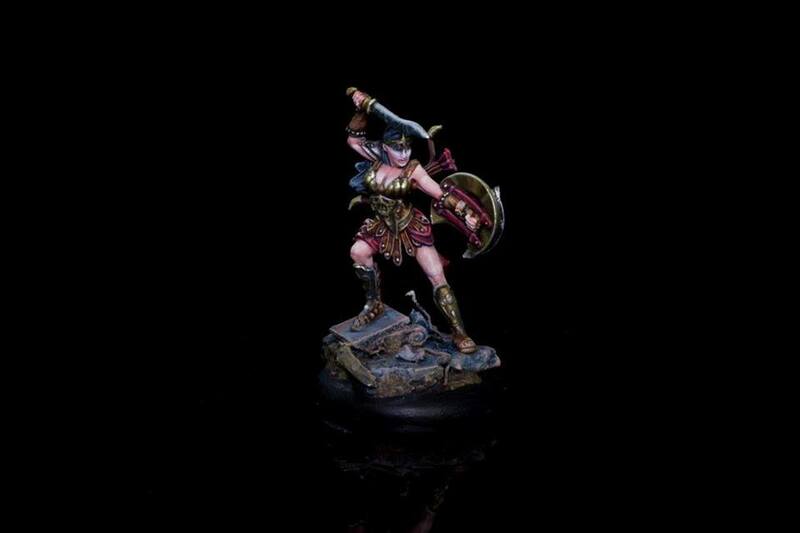 This set has miniatures for the Amazon hero Kydiome and the Banebrood creature the Chimera. It also contains four stat cards for running the miniatures (two for each figure). The cards for Kydiome have her as either just a character and another as a Warlord. The two for the chimera have it as either a juvenile or as an older (and meaner) version. 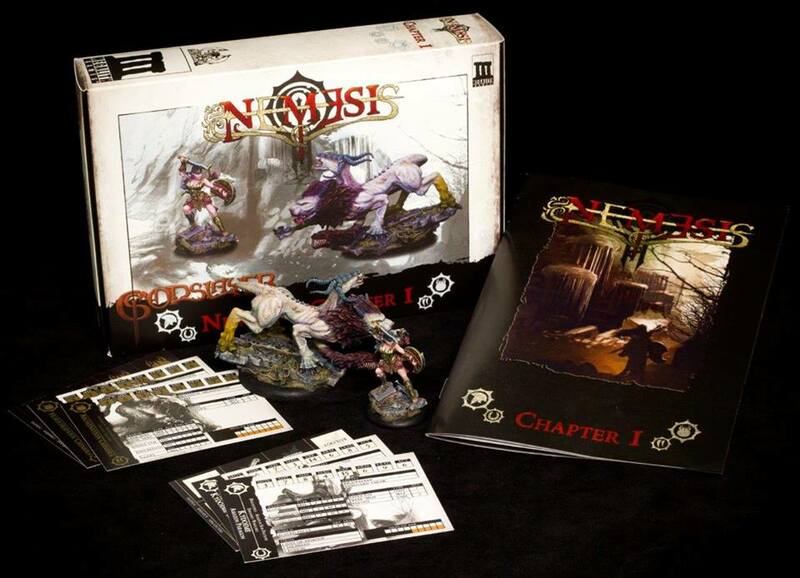 The set also includes a booklet giving you the background of both figures, plus three scenarios you can play.